Disclaimer: Some links provided are affiliate links. This means Blushing Matters By Tatiana Quiapo receives a small commission for purchases made through these links. This will be at no additional cost to you, the consumer. Thank you for supporting my content! What happens if I choose to not do this? How will this impact the environment? My home? Others? My health? How will this impact my budget? Research what it means to live ethically. Research what it means to live sustainably. Research what cruelty-free means. Research what eco-friendly means. Research animal testing. Research alternatives to animal testing. Evaluate what these values mean to you. Ask yourself what degree and extent you're willing to go through for this lifestyle. Above all, research what happens if you do not live an ethical, sustainable, eco-friendly, cruelty-free lifestyle. Does it hurt the environment? What animals suffer? Who else suffers (hint: have you thought about the workers that make the products you use? Do they get paid well? Do they get treated well? How are their working conditions?)? What's important in living an ethical, sustainable, cruelty-free lifestyle is really having a perspective and understanding why you feel this way. There will be challengers. There will be naysayers. There will be haters. That's fine, it applies to almost everything in life, but if it makes you happy, feel at peace, and you know you're doing the right thing, then forget them. What's important is knowing that you're doing this for you. Plus, if you have done your research, then you know exactly what to say those who oppose, challenge, and criticize you for your choice in living consciously. You have the choice to challenge them back to see if they did their research, or what they're saying is just opinion and fluff. As much as I would love to provide you links of information, understand that this is a guide to your journey. Putting all of my research here would make this post look like propaganda and the intention would be lost. This is to guide you, not converting, criticizing, or putting down others. Before you go off and starting buying all the organic, cruelty-free, ethical, and sustainable things in life, SLOW DOWN. Evaluate what products are in need of repurchasing. Ask yourself what products do I need? What products do I want? What products are necessary? Do I have to get this now? Finish products you already have. ( It's the most ethical thing to do, for the sake of the animal who was tested to the amount of money you paid for that product). Organize & declutter products that are from companies that don't align with your values. Ask yourself: Do you want to keep these items? Are they necessary? Are there alternatives to this product? Is it expired? Do I throw it away? Who can I donate these to? Who can I give them to? Now's the fun part! Follow people on social media, television, film, documentaries, YouTube, books, and other mediums who align with your values. What's great is that you'll part of a community that goes through what you go through (example: where am I gonna clothes? What brands do I look to?). They also show you that it is possible to live the lifestyle you want. They also keep you inspired and up to date on the latest trends. Join groups on Facebook so you'll feel engaged and ask others for their advice on what brands to use! 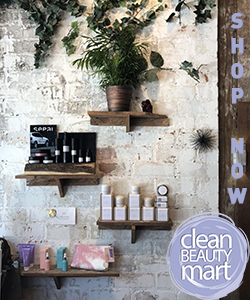 Amanda from The Organic Bunny has a Facebook group The Organic Bunnies where you can hear from others in the clean beauty community and even a message/comment from Amanda! I call this a [re]start because you it's a beginning of living consciously, but you've always lived consciously on a smaller scale (like the time you bought from a thrift store, bought from a company that donates, buying makeup from a brand you didn't know was cruelty-free, looking to Facebook or Craigslist to get furniture or a car). Now's the time to [re]start living consciously. The next time you buy something (or many), make sure it's from a company whose values align with yours. Remember that it's building up to a sustainable lifestyle, not giving up everything cold turkey. Let things that you decide to keep run its course. 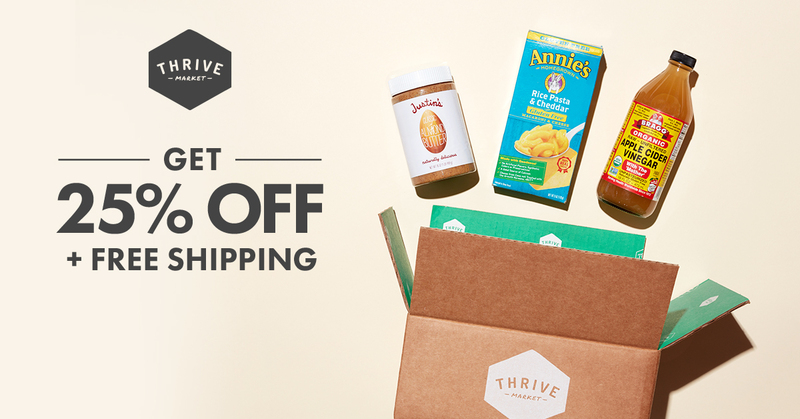 Then once you run out of a product, simply buy consciously. Download apps that help with your shopping needs. I like Target, Whole Foods, Thrive Market, Leaping Bunny, and Think Dirty because they help save me money while also being on the lookout for brands that are great alternatives than what I'm used to. A lot of the clean beauty/lifestyle community really like using Think Dirty because it's an app that measures the toxicity in products that have long term health effects. Leaping Bunny has a full list of cruelty-free brands that are verified by their organization. Refer to brand lists available. I use Logical Harmony's Cruelty-Free Brand list. There's a lot of brands that are cruelty-free and vegan listed. There's mostly beauty, but there's also household product companies on there too. If you're into sustainable lifestyle, try sustainably chic's brand list. 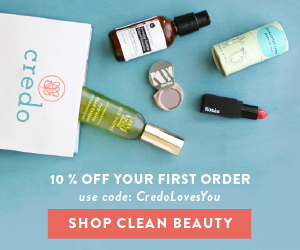 Click above to try a clean beauty/skincare line from Teri Miyahira! Live up to your values and do what you can to give back to those who are doing good for you, the environment, and others. Show your support to brands that you find are doing great things and share your values! Share videos on Facebook of cool hacks to living an ethical lifestyle. Go to events that bring together the community you want to see and connect with. Just like how beauty gurus go to BeautyCon, YouTubers to VidCon, there's conventions and events for almost any community. Plus, if you're lucky, you get free swag! !